Universidad Politécnica de Madrid (UPM) researchers in the UPM observatory (Observatorio de I+D+I UPM) are now able to link their universal Loop profile to the profile on their institutional website. Created by Frontiers, one of the leading open access publishers, Loop launched in January 2015 and is the first Open Research Network that integrates into the website of any publisher or research institution. It is already working seamlessly with two publishing platforms, Nature Publishing Group and Frontiers, with UPM being the first university to incorporate it into their website. “UPM is the largest and one of the most prestigious technical universities in Spain. We worked closely with their team to integrate the Loop platform on their website to help them reach their goals of boosting the visibility and impact of their researchers and faculty members. 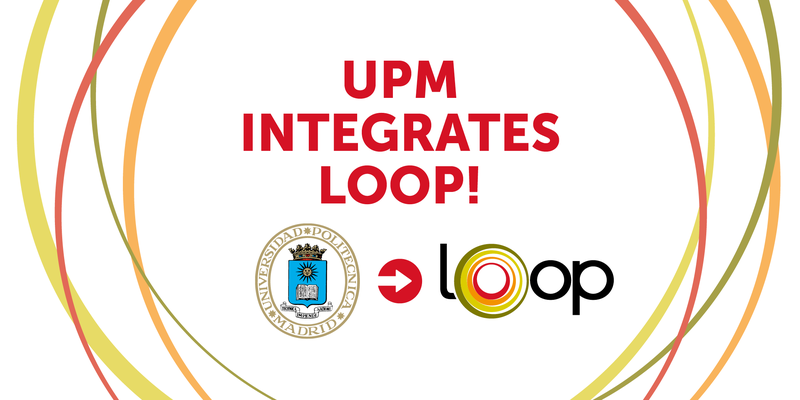 UPM is the first university to come on board, and we look forward to rolling out further Loop integrations with others in the coming months,” said Kamila Markram, CEO of Frontiers. Loop is designed to work collaboratively with academic platforms and bridge the gaps between researchers, their institutions and their published work. It integrates easily into the workflows of publishers with automated, direct links to the original articles in the journals in which they were published. “Loop integration within our website offers our researchers a new way to make even more visible the results of their research. We now have the ability to instantaneously display and provide our members access to a universal research profile that showcases an up-to-date professional biography, comprehensive list of published work and a range of impact metrics, ”said Roberto Prieto, vice chancellor for Research, UPM. With 200,000 high-profile academics from the world’s top universities already on board, Loop empowers researchers in their daily work and provides the opportunity to seek, share and generate knowledge. Information on the different Loop integration products can be found on the Loop Developer Portal. See sample of the integration here.